Today dogs are considered children but legally they are property! Owners are often set up to fail by society and then blamed. Learn how to protect everyone in your family! An important reference for dog owners. A MUST for parents! Which came first: the dog with a mind of his own or the owner with her own ideas about how training should be done? Melissa Berryman believes the human trainer will gain a much-needed advantage with her new book that covers "what breeders don't tell you and trainers don't teach." While the book is packed with practical exercises and tips for trainers, a good chunk is devoted to the psychology between man and beast, stuff dogs don't easily grasp but seem to know instinctively. The Hatchville resident is the former Falmouth animal control officer. 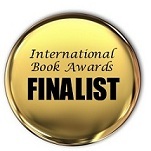 2012 International Book Awards Finalist in Animal/Pets General Category! Are you thinking about your relationship with your dog in the right way? Just fill in the form below and we will send it right to you! Yes! Send me my free quiz!